Locating great tree service in Northumberland County, ON doesn’t have to be as tedious as it feels. In fact, you can stop your search now that you have arrived at Van Till Tree Care. We have nearly twenty years of experience in the tree care industry serving Northumberland and other nearby counties. Our owner, Shane Vanden Tillaart, holds multiple certifications as an arborist including those from TRAQ, the International Society of Arboriculture, and Ontario itself. Our specialists are well prepared to meet all your tree service needs including stump grinding, bracing and cabling, and lot clearing. And, we even provide our customers with live edge slabs if they are interested in creating their own rustic furniture. Preserving the beauty of a downed tree is just as important to us. Finding the perfect company to offer you all the tree services you need can be difficult. But, now that you’ve found us, you can enjoy a number of beneficial tree maintenance and care options. Tree Removal: We love trees as much as you do, and it is our goal to save as many as we can. However, when a tree is diseased or significantly damaged it must be removed for the safety and well-being of the structures and other trees on your property. Tree Trimming: Tree trimming isn’t all about utility lines and worrisome limbs over your roof. In fact, proper care of your limbs, via trimming, can initiate new growth and make the tree stronger. Tree Risk Assessment: Before you buy a piece of property, or opt to do anything significant to the trees on an existing property, a tree risk assessment is a good idea. It can tell you which trees should be kept and which ones are in need of other healthcare services. Other Tree Care Services: We have strong roots in the tree industry, so it’s no wonder that we can offer you a number of other tree services not listed previously. These include storm cleanups, utility line clearing, emerald ash borer treatments, and several others. Known for its strength, honor, and beauty, we’ve been meeting the needs of the trees in Northumberland County, ON and the surrounding areas since 2000. Township of Cramahe: Just 87 miles from Toronto, Cramahe is made up of a number of communities. It’s a small township, with barely over 6000 people calling it home, but the trees are magnificent and we are glad to care for them there. Town of Cobourg: Even closer to Toronto than Cramahe, Cobourg is the largest town in Northumberland County, and it’s also the seat. Every time we visit we’re particularly enamored with Victoria Hall and the history that surrounds it. Municipality of Trent Hills: Trent Hills is made up of three major areas, Hastings, Campbellford, and Warkworth. But, it also encompasses a number of smaller communities and plenty of trees for us to love. If you live in Northumberland County, ON or the surrounding areas, and are in need of tree care specialists, look no further than Van Till Tree Care. 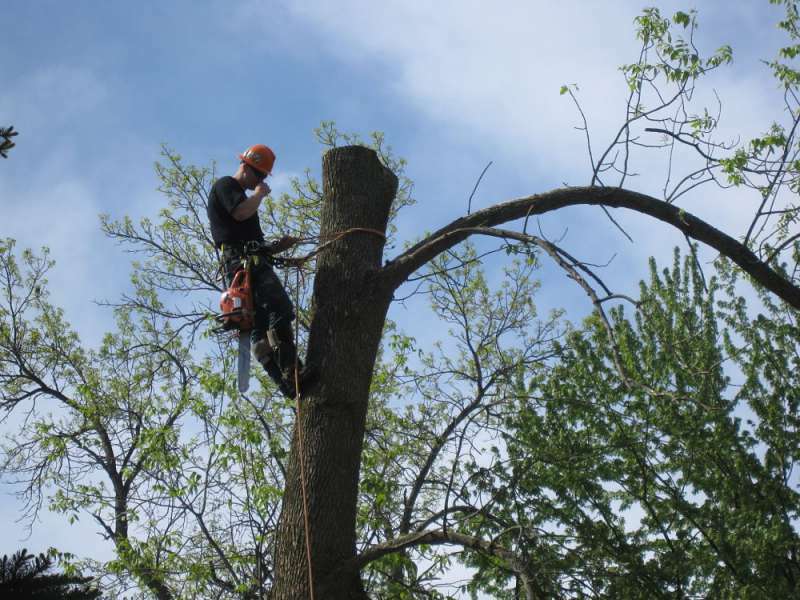 Our expert arborists are capable of answering all your tree care questions. And, you can call or fill out our online form to schedule your free estimate. One of our arborists will visit your property and provide you with all the information you need to make the best decisions about the health and well-being of your trees. We look forward to talking to you today.